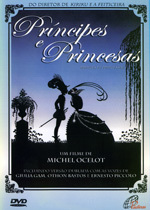 Princes et princesses has never been released in its full, original aspect ratio but in two differently cropped versions designed specifically for 16:9 and 4:3 screens. Which version you would be best to import depends on what type of screen you intend to watch it on. 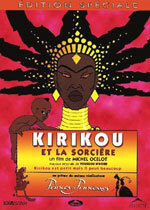 If you have a 16:9 (widescreen) TV and live in a region 2 country, or can otherwise play region 2 and PAL-style discs, buy the French DVD from, for example, Fnac.com. If you have a 4:3 (standard) TV and live in a region 1 country, buy the USA DVD from, for example, hidefdvd.com. If you have a 4:3 (standard) TV and live anywhere else, buy the South Korean DVD from, for example, everything-ok or Moon-World. This is region 0, so will play anywhere.